i eat you! 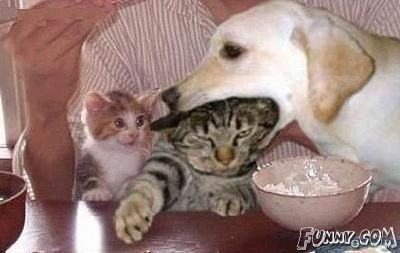 look at kitty's face behind dog and cat. . Wallpaper and background images in the Random club tagged: random picture funny. This Random photo might contain کیٹ, سچ میں بلی, بلی, and بلی کے حقیقی.